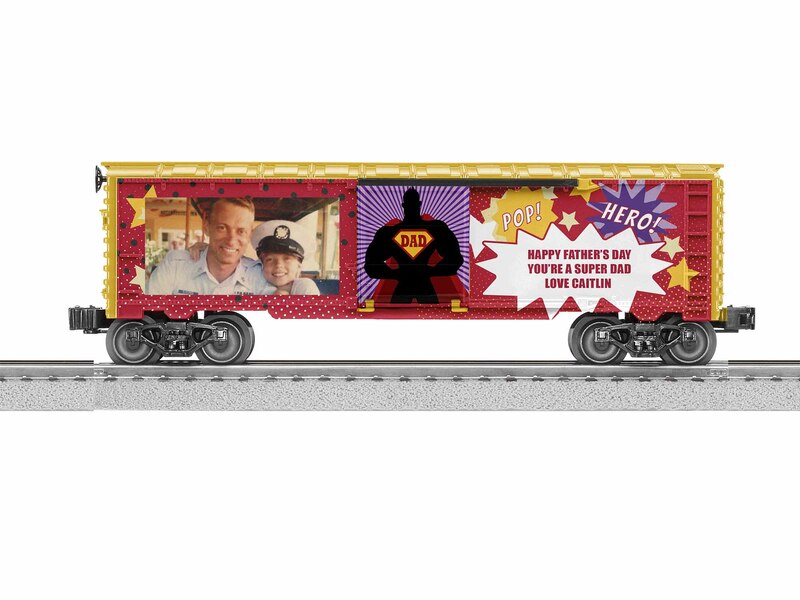 Back by popular demand with a fresh new look is Lionel's 2019 Personalized Father's Day boxcar. 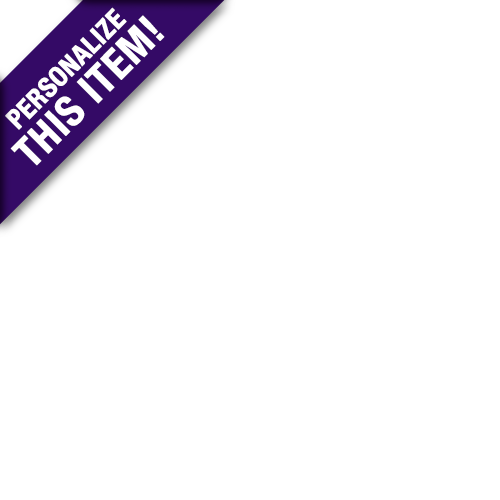 Celebrate memories with Dad and let him know how much he means to you! 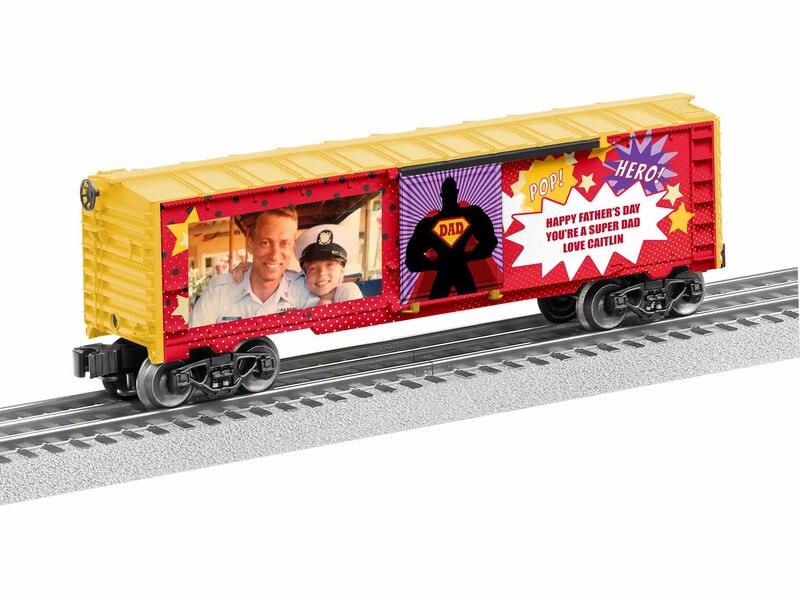 From birth announcements to anniversary celebrations, showcase all of your family’s special occasions with these personalized boxcars. 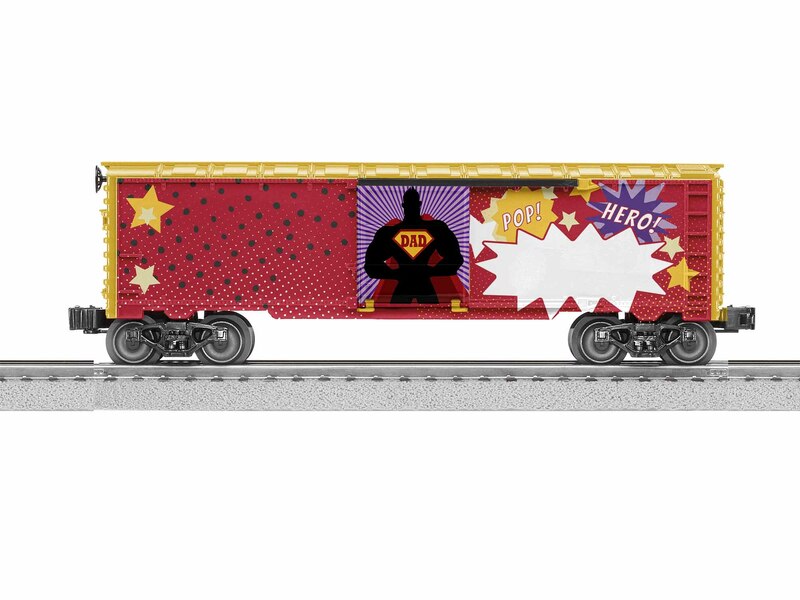 From the novice to the hobbyist, these cars will pull at the heartstrings and add a memorable quality to your track layout.